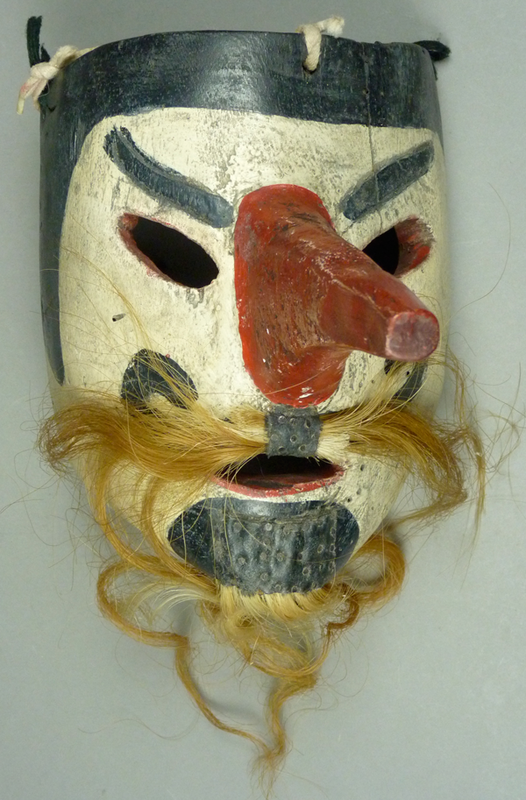 This mask is 9 inches long, 6½ inches wide, and 8 inches deep. The long nose is nailed onto the face. This back does show staining around the rim from use. 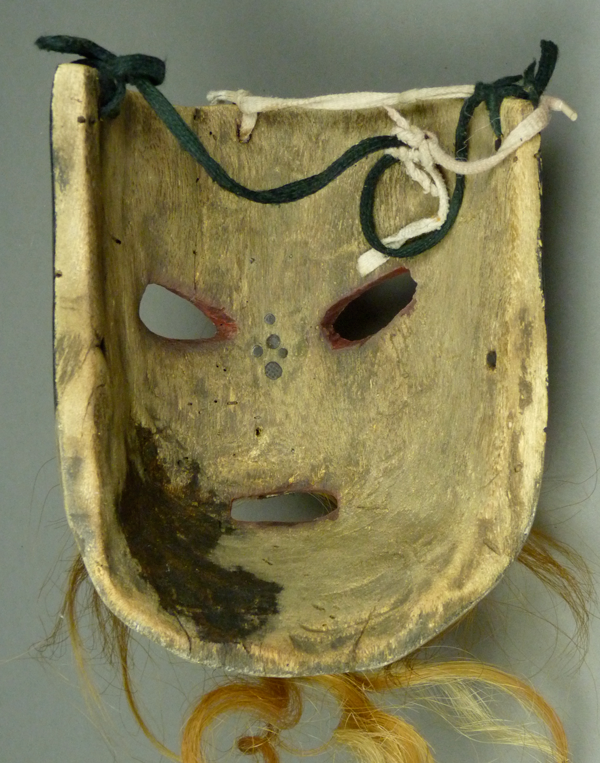 The second Santiaguero mask appears to have been made by a different hand. 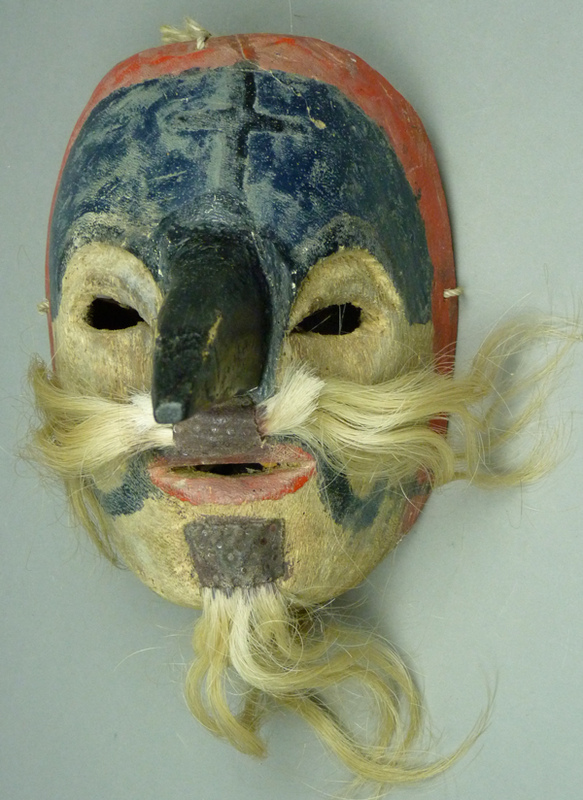 These two masks demonstrate common Mexican tactics for the attachment of facial hair. 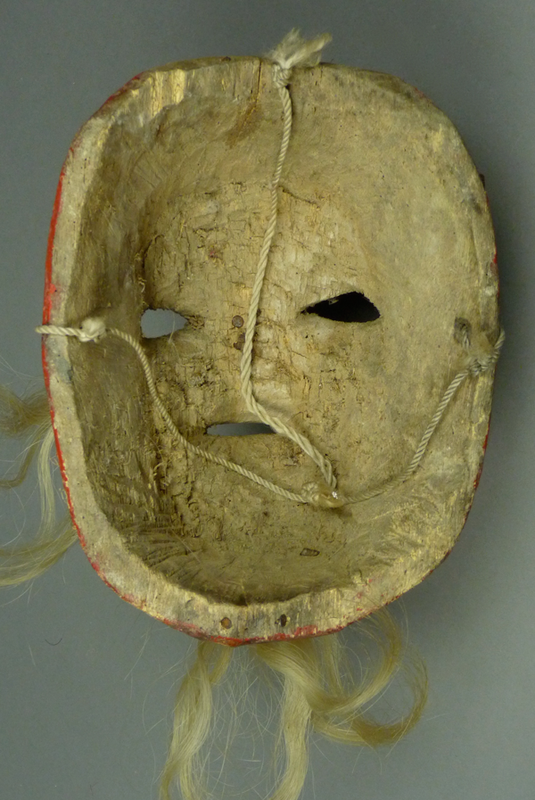 This mask is 9 inches long, 6¾ inches wide, and 8¾ inches deep. This mask has had significant use. 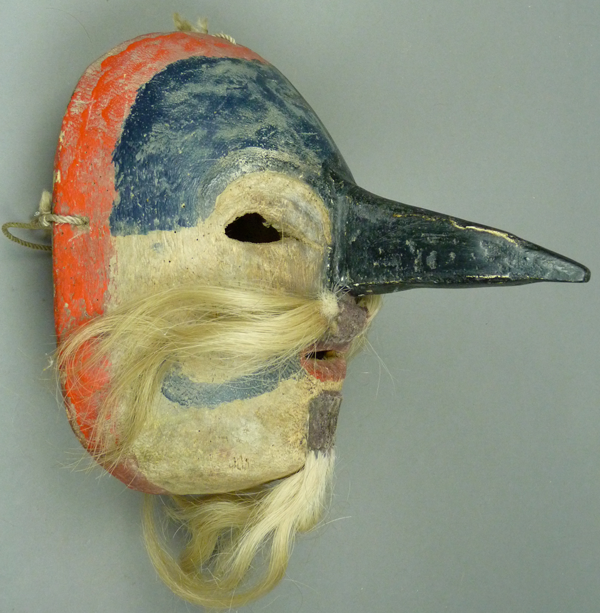 Here is a photo of an Urmston Hormega mask that I had included in my January 18, 2016 post; this is an example of the long slender noses typical of that style. 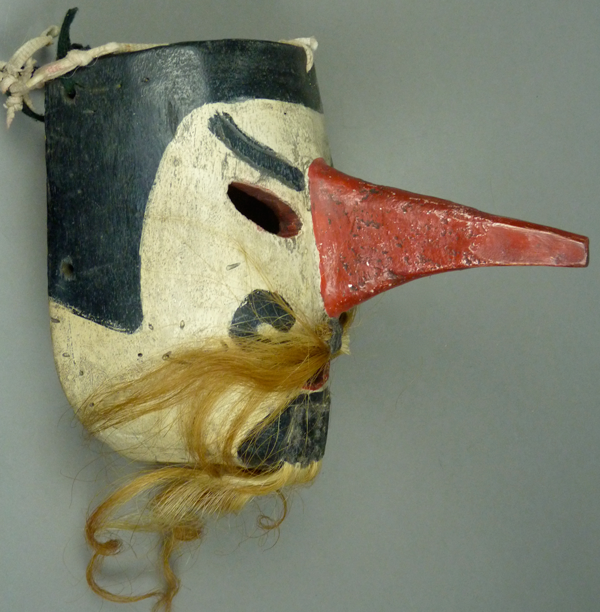 It is obvious that today’s Santiaguero masks reflect a different local tradition. As you may recall from my post of February 1, 2016, the Negrito masks from Naolinco do not represent Afro-Mestizos, or Moors, even though their dance is said to be a version of the Moros y Cristianos. 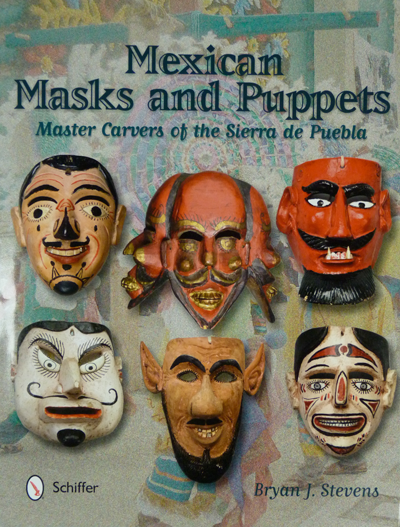 Instead they are essentially Diablos—”Dark Forces,” in that Santiagueros version of the Moors and Christians drama (which I regard as an entirely different dance). 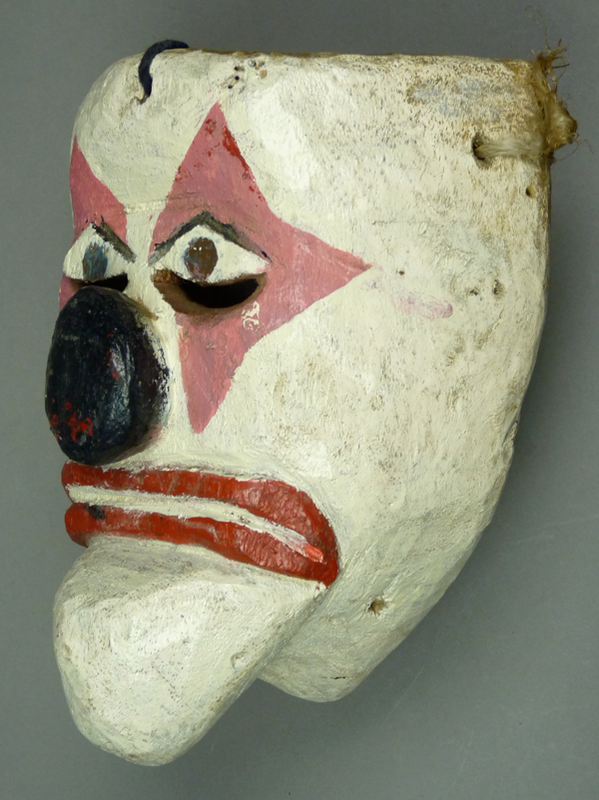 This one is a malevolent looking white-faced clown. 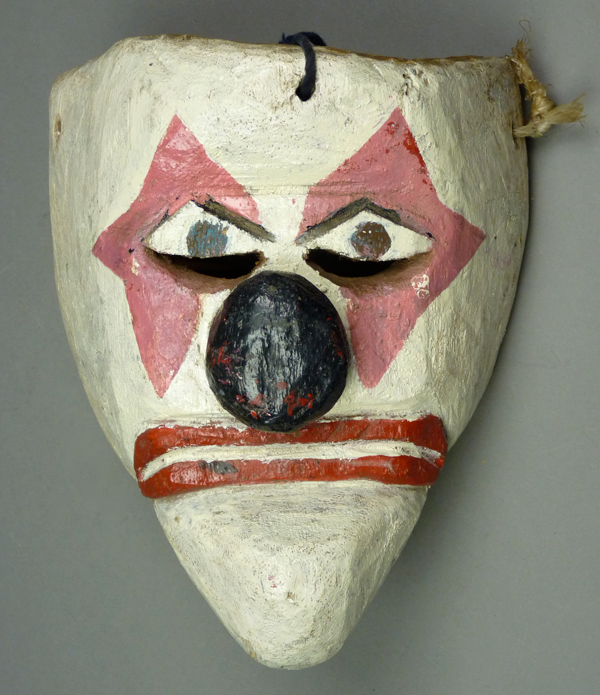 The grimacing mouth sets the tone for this mask. 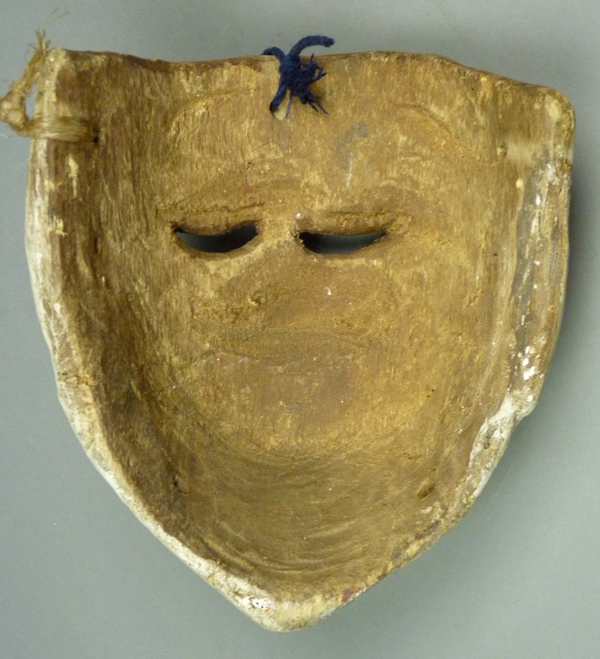 This mask is 8 inches long, 7 inches wide, and 4 inches deep. 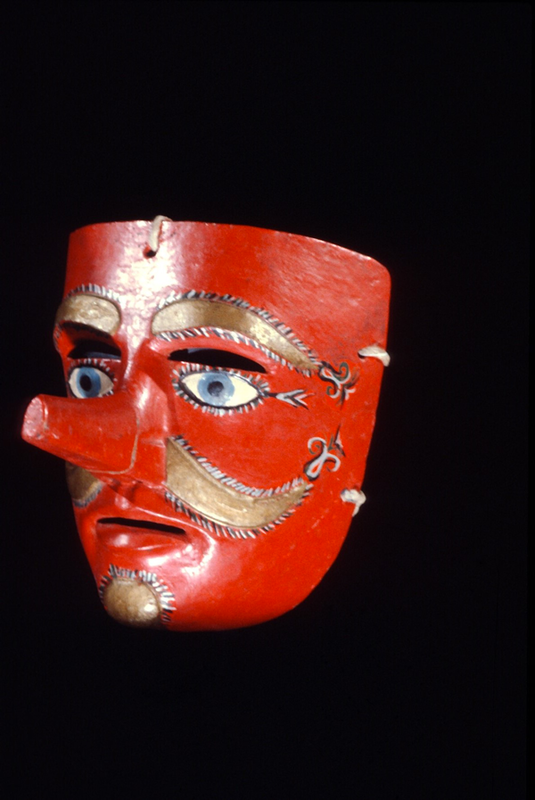 Next week we will look at several masks of devils.